iQue M4 PocketPC is a PDA and GPS combination mobile device from Garmin that based on the Windows Mobile 2003 Second Edition operating system. 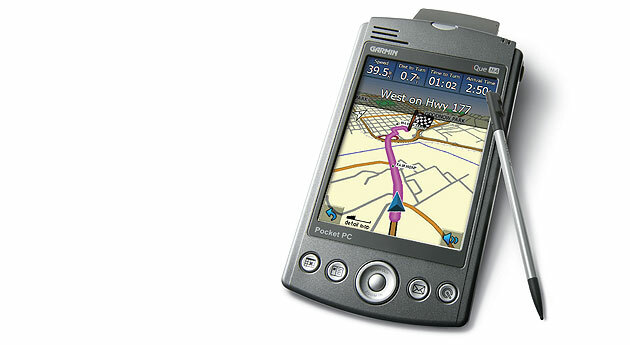 And it’s also Garmin’s first GPS-ready iQue to come pre-loaded with City Navigator North America NT with all maps the United States, Canada, and Puerto Rico installed. Garmin iQue M4 also is a full-featured Pocket PC PDA with SD/MMC memory card expansion slot and compatible with SDIO for optional WiFi, Bluetooth, camera or other peripherals. Mobility Site tested the iQue M4 and concluded that cost of this unit may seem high, but consider that for the price you get a PDA, a GPS receiver, Navigation software, windshield mount, and a car power supply. Compare that singly cost to the cost of buying those parts separately and the Garmin M-series is a great way to go!